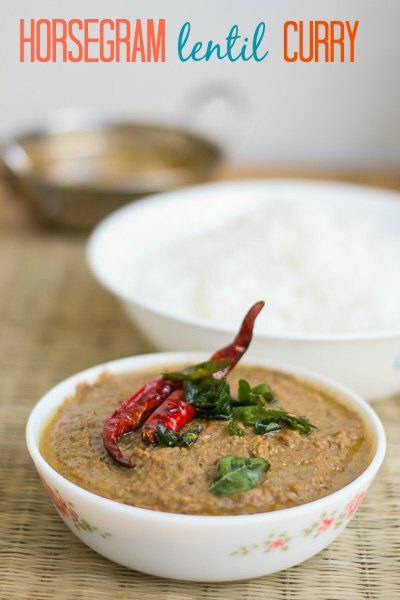 Horse Gram Lentil Curry / Kongunadu Kollu-Paruppu Masiyal / Ulavalu Pappu. 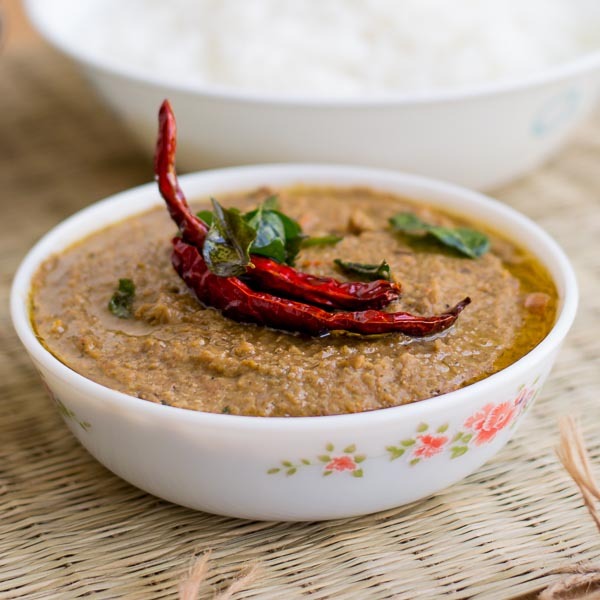 Traditional authentic Kongunadu – Coimbatore style horsegram / kollu paruppu masiyal recipe. Kollu or ulavalu pappu as its called makes an excellent curry for rice. With step by step pictures. 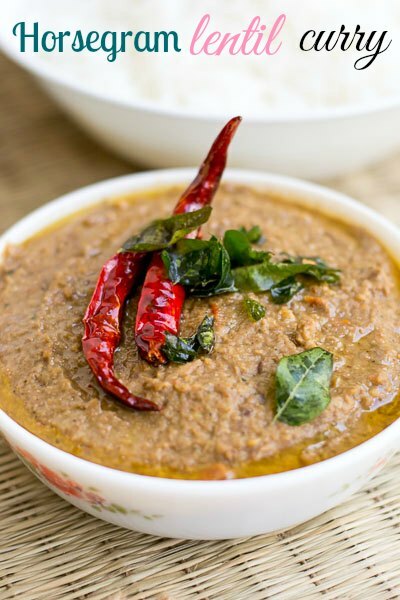 Horsegram lentil curry/ kollu paruppu quintessentially belongs to the Kongunad region of Tamilnadu. Its a staple in everybody’s home. Its called horsegram as its a staple fodder for the horses. There is a saying in tamil இளைத்தவனுக்கு எள்ளு, கொழுத்தவனுக்கு கொள்ளு which means sesame seed for the lean guys and horsegram for the fat guys. 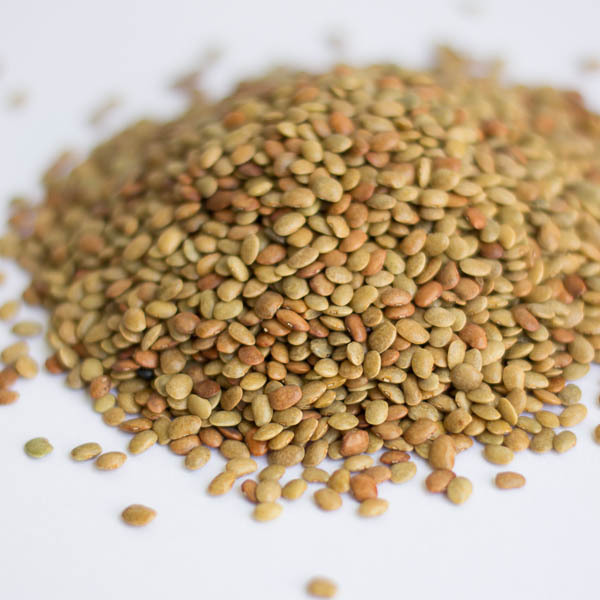 Horse gram aids in weight reduction. Horsegram lentil has a lot of medicinal properties. Its been used extensively in Indian alternative medicine. First, we need to boil the lentils. Horsegram/kollu needs to be cleaned first. It almost always has some small stones and sand particles. Just take half a cup of lentils and spread it on a plate and slowly remove the stones and sand. Wash thoroughly for 2-3 times in running water. Pressure cook half a cup of lentils in 3 cups of water for 15 minutes. About 10-12 whistles. While pressure cooking, if you face the problem of water from inside the cooker leaking out of the whistle opening, check this post to know how you can avoid it. Cook the lentils and drain off the excess water. Reserve the water for later use. We will use some of the water for grinding the lentils. The rest of the lentil water can be used for making kollu rasam. Click here for the rasam recipe. Its a fairly simple recipe. The lentils are boiled and tempered with a dry roasted spice powder. A teaspoon each of cumin, pepper and coriander seeds are dry roasted with 2 sprigs of curry leaves, 1 dried red chilli (optional) and ground to a smooth powder. Dry roast these spices on a low flame until one can smell the aroma of the seeds and the curry leaves are dry. Allow it to cool in the pan before grinding. Grind the spices and set aside. Now, take a pan and add a teaspoon of sesame oil. When the oil is hot, add in a chopped onion, 5 cloves garlic and saute briefly for a minute until the onions are soft. Add in the salt and tomatoes and saute for a minute more. If you do not like garlic, omit it or just add a clove. Add in the ground masala and saute to combine. Add in the lentils and half a cup of reserved water. Remove off heat and let the mixture cool a bit. Grind the lentils to a coarse paste. Serve the lentils hot with rice. If you are feeling fancy, add a tempering to the lentils. Heat a teaspoon of oil in a pan and add a couple of dry red chillies and curry leaves and fry till the curry leaves are crisp. Just pour the tempered mixture on top of the lentils. Serve hot with rice. Traditional authentic Kongunadu - Coimbatore style horsegram / kollu paruppu masiyal recipe. Kollu or ulavalu pappu as its called makes an excellent curry for rice. 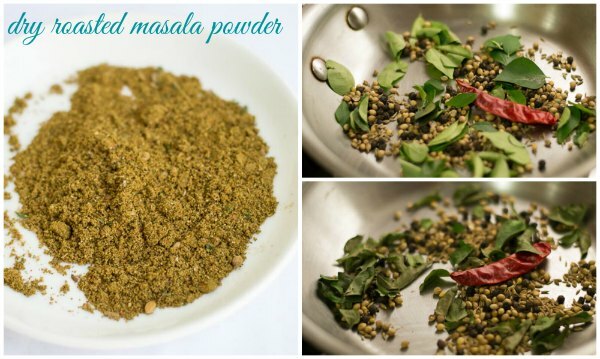 For the Dry Roast Masala Powder - Dry roast the spices on a low flame until one can smell the aroma of the seeds and the curry leaves have become dry. Allow it to cool in the pan before grinding. Grind the spices and set aside. Clean the lentils and wash them thoroughly. Pressure cook the lentils for 15 minutes or 10-12 whistles. Drain the water. Set aside. Take a pan and add a teaspoon of sesame oil. When the oil is hot, add in a chopped onion, 5 cloves garlic and saute briefly for a minute until the onions are soft. 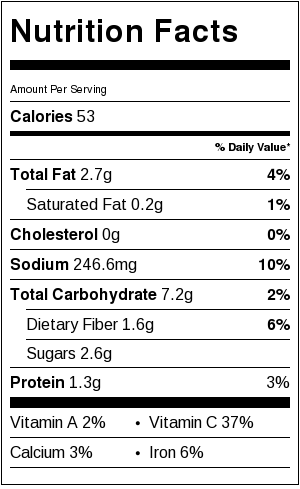 Add in the salt and tomatoes and saute for a minute more. If you do not like garlic, omit it or just add a clove. Add a tempering to the lentils - Heat a teaspoon of oil in a pan and add a couple of dry red chillies and curry leaves and fry till the curry leaves are crisp. Just pour the tempered mixture on top of the lentils. Please mention the size of the cup you used. Is it 250ml cup for all the recipes ? Yes. 1 cup is around approx 240 ml. Thanks Loganayaki. Will post soon. you are simply amazing Kannamma! Thanks for reviving our age old cooking traditions through your blog! Wow to your humble effort! Sure. you can try. I am hearing black horsegram for the first time though. 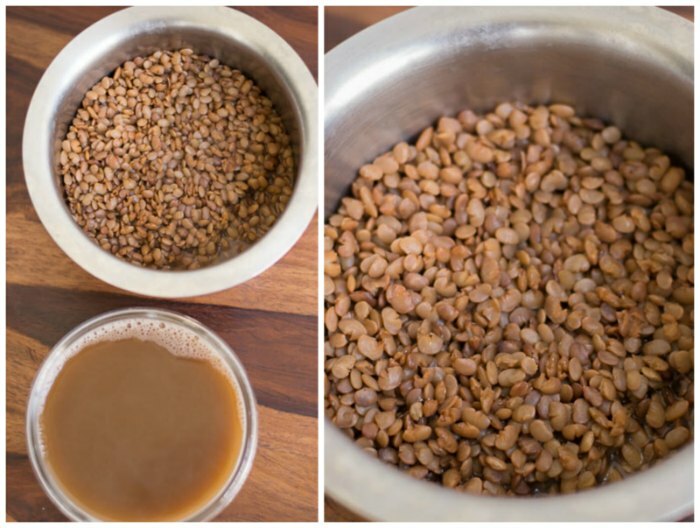 Do we need to soak horse gram overnight for this recipe ? No need to soak. Pressure cook half a cup of lentils in 3 cups of water for 15 minutes. About 10-12 whistles. Can you make sundal with kollu? Today I tried this.. Ummm… Yummy.. I am bad at cooking but today i myself surprised?? Thank you so much Subhasini. Kollu paruppu is my all time favorite paruppu. Happy cooking! I am gowthami, also from kongu nadu region . My native is near Tirupur. I am living in Switzerand for 3 years now, came here for my Masters and currently working here. Kollu paruppu and rasam are favorite receipe of any kongu people and I tried your, It came out very well. I just loved it. Thought I should share the message with you. Looking forward for more recipes. Thank you so much Gowthami! Yup! Kollu is my favorite too. I am happy you are able to cook homestyle food in Swiss! Happy cooking! Thank you so much for writing this Sona. It means a lot to me. I was in CBE 2 weeks ago, I would have met you if you have were there. Btw, kongunadu koli kulambu is my family’s favorite. I make it every week even though I don’t eat chicken. Thanks! wow! Thank u so much! Thank You Sunita. Its our house favorite too! Thank you so much Poornima. Thanks for writing in. I am glad to know your family liked it.